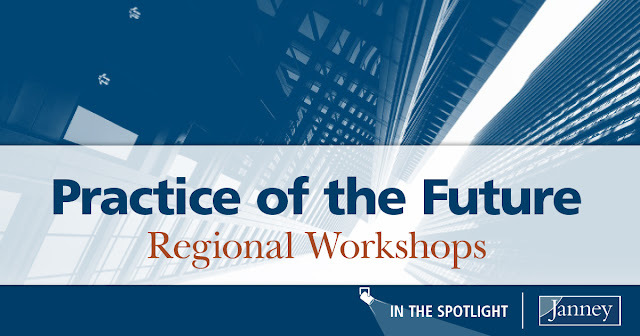 In February, Janney kicked off the Practice of the Future Regional Workshop series to provide the Firm’s Financial Advisors with the most relevant and current information to help them grow their practice in an ever-changing financial landscape. This 12-part tour of cities across the east coast features Janney’s top subject matter experts who are sharing valuable information with the field. Speakers are discussing the importance of utilizing technology to meet client needs, moving towards a holistic financial planning approach, and understanding the changing regulatory environment. They are also providing insight on the demands that savvier clients and the next generation will have in the future and the impact that all of these factors can have on an Advisor’s practice. Janney created these one-day events to offer Financial Advisors practical ideas and information to drive an understanding about the growing need to connect with clients digitally, become a fiduciary, and actively market their true differentiators to remain successful. The workshops demonstrate how the practice of the future is one that is heavily dependent on technology, and is moving away from a transactional-based fee structure to providing clients with advice beyond investments. The Workshops give insight into the significant impact these factors have on a Financial Advisor’s practice and provides them with the knowledge to adapt quickly.